in all of Chambers’ other core areas, including insolvency, company, contractual disputes, trusts, wills and probate and other private client matters, and general commercial disputes. He enjoys acting on his own account, or as a junior as part of a large team. Ben joined Chambers in 2009 following the completion of his pupillage. complex property litigation”, for his “user-friendly approach and attention to detail” and for his “commercially minded” approach to cases. In 2018, led by Joanne Wicks QC, he successfully acted for the tenant in S Franses Ltd v Cavendish Hotel (London) Ltd  UKSC 62, a case which has substantially recast the law relating to ‘ground (f)’ under the Landlord & Tenant Act 1954. In pensions work, having acted in the high-profile IBM pensions litigation, the legal directories describe Ben as a recognised junior building a solid reputation in the area, who is as likely to appear in cases as sole counsel as he is to appear led by a silk. “He is a very bright guy who is very hard-working and very easy to deal with”. “He is exceedingly user-friendly and charming to work with”. (Chambers & Partners, 2016). The Legal 500, 2018 describe him as “extremely diligent, hardworking and able to spot the opponent’s oversights”. Ben has been recommended in Chambers & Partners since 2013, and Legal 500 since 2015. 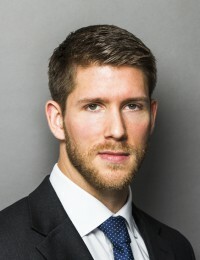 Other comments from clients include that he is “A strong and confident advocate who is well regarded by peers and clients”, “Bright, commercial, easy to work with and responsive”, “recognised for his diligence and client-focused approach” and that he has “impressed solicitors with his tremendous work ethic and mastery of the facts”. Law Scholar at Gonville and Caius College, Cambridge. Graduated in 2007 with a first class degree, finishing fifth in the year. William McNair Prize in 2006 and 2007 for the top first at Gonville and Caius College in both years. Denning Scholarship and Hardwicke Entrance award from Lincoln’s Inn. Buchanan Prize for obtaining an “outstanding” grade in the BVC.